I know there are a lot of posts asking for guidance on creating a self study GMAT plan, but I have yet to find one that meets my needs exactly and I'm feeling a little overwhelmed with all of the GMAT resources out there. I definitely want to ace the GMAT , I have the time to dedicate to it, but I really don't want to spend 500- 1000 prepping for the test. If possible I'd like to stick to under 300 for study materials + the cost of actually taking the test. I have the time and discipline for self study - I have the next 4 months to completely dedicate to studying for the GMAT, although, I would like to ideally make my first attempt after 60 days. 1. What resources are absolute MUST HAVES? 2. What can be bought used? Is it worth it to buy books used if it won't have the online additional question banks? 3. What recommended resources will give you the most bang for your buck? I'm at the beginning of my GMAT prep. I have a lot of time to dedicate to studying. I would ideally like to only spend like 300 or less on study materials. I took a baseline and I realize I've forgotten a lot of the high school math I once knew- I'm going to start by hitting the Manhattan Prep fundamentals math book really hard the first week. Any recommendations? Guidance? Anyone else who created a similar study plan on a similar budget. Any help will be much appreciated!! To start, many Test Takers spend 3 months (or more) of consistent study time before they hit their 'peak' scores, so limiting yourself to 60 days before your first attempt would likely limit how well you would perform. If you're open to studying for 4 months for the GMAT, then spending $250 to take the Official GMAT "early" doesn't seem like a good plan (especially since you don't want to spend too much money on the process). When you say you "took a baseline" are you referring to a normal CAT or a pencil-and-paper test? If you have not yet done so, then it would be a good idea to take a FULL-LENGTH practice CAT Test; you can download 2 for free from www.mba.com (and they come with some additional practice materials). If you want to do a little studying first, so that you can familiarize yourself with the basic content and question types, then that's okay - but you shouldn't wait too long to take that initial CAT. That score will give us a good sense of your natural strengths and weaknesses and will help provide a basis for comparison as you continue to study. A FULL CAT takes about 4 hours to complete, so make sure that you've set aside enough time to take it in one sitting. Once you have those scores, you should report back here and we can come up with a study plan. 4 months is a good enough time to prepare for GMAT. I would encourage you to start by giving one GMATPREP Test. You can then know your weaknesses and can work on them. If you are willing to study dedicatedly for 4 months, you are sure to achieve your goal. I believe you may benefit from taking a GMATPREP course. Although MGMAT guides are great, there are some great online GMAT prep companies that can help you with your preparation. In order to make an informed decision I would highly encourage you to go to their websites and try on their free trial and decide for yourself which one do you like better. 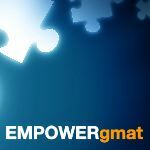 You try out free access to EmpowerGMAT, Magoosh and Optimus Prep as they have great reviews on GMATCLUB. Also for verbal, I would highly encourage you to consider e-gmat verbal online or the e-gmat verbal live course. They are both amazing courses especially designed for non-natives. They offer almost 25% of their courses for free so you can try out their free trial to decide which one you want to go for. Plus the e-gmat Scholaranium which is included in both the courses is one of the best verbal practice tools in the market. You can easily track your progress in that you can identify your strengths and analyze and improve on your weak areas. I must add that if you are particularly looking to discover and improve on your weak areas in Quant; a subscription to GMATCLUB tests is the best way to do that. They are indeed phenomenal and will not only pinpoint your weak areas but also help you improve on them. I would also encourage you to purchase the latest version of OG and the verbal review for some great additional practice. Here is a link that will help you with your decision. https://magoosh.com/gmat/2012/3-month-g ... -students/. You will find it very helpful as it gives out a study plan as per your needs.